When it comes to the world of US friendly sportsbooks, BetOnline has to be one of the biggest names out there. With an aggressive marketing team and a long history of accepting international bets, BetOnline is going to be one of the brands that you will most likely be familiar with. BetOnline has been in business since 2001, the Costa Rica based site is known for its friendly lines as well as its casino and poker room. Compared to the competition it faces, BetOnline’s software holds up very well. This is not when compared to its neighboring casinos in Costa Rica; we are talking throughout the rest of the world as well. BetOnline’s system is clean, colorful, and easy to navigate. 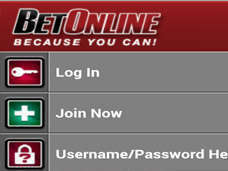 Unlike other sites like JustBet, BetOnline has a real winner with its mobile software. To top it off, the betting options offered by BetOnline are more robust than other Costa Rican books that we have reviewed in the past. Every sport from Auto Racing to Tennis is covered here, and to top it off we finally found a mobile site that allows us to bet on futures or prop bets. While this may seem like a small feature, it is one that is often overlooked by other Latin American books, and is something we were very happy to see at BetOnline. 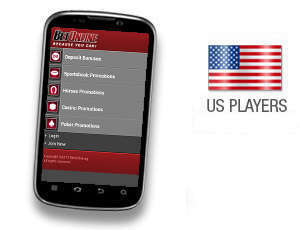 While we didn’t see any casino games to play on the mobile software, the sheer superiority that we see from BetOnline versus the rest of the American friendly field puts it on a level that only Bovada can reach. 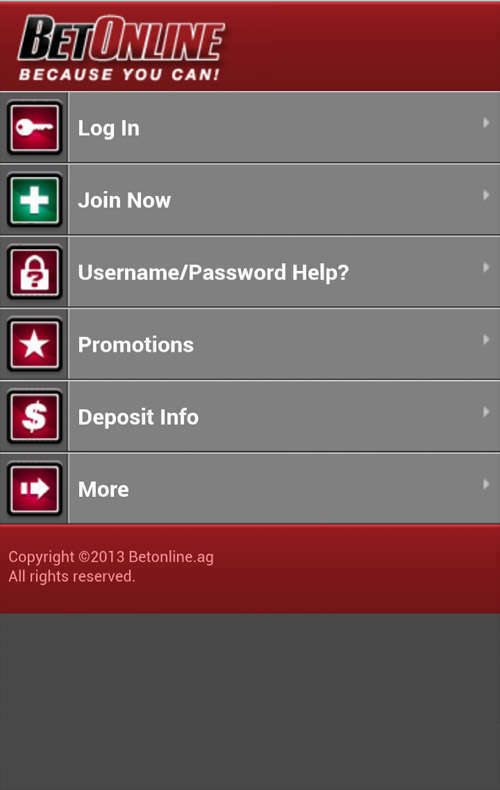 Banking at BetOnline is much more substantial than many of the other US friendly sites we encounter. Deposit options include Visa, Money Transfer through Western Union and MoneyGram, and Person to Person Wire Transfer. Withdrawal options include Wire Transfer, Bank Wire, and Cashier’s check. We found the withdrawal process to be fast and efficient once we got our financial documents in. Although the process of actually getting our check took about a week to arrive, we were very happy with the 24 hour processing time that we experienced. This is one of the faster processing times we have encountered in the Latin America book world, and we were very impressed. Customer service shines even brighter than the banking options, and we were very happy with the support we received from the site. We chatted up a customer service rep regarding deposits and bonuses, and were connected within seconds and given a firm answer to our query in under a minute. One thing that was a tad annoying was the several calls we got from our account manager. While it is nice to have the book call once to introduce itself, we really didn’t appreciate getting the same call more than once, and when it arrived three times it was a bit old. With that being said, we are very happy with the overall demeanor and friendliness we got from the service crew, and have no doubt they will handle any issue in the appropriate manner. 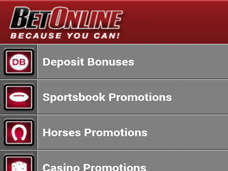 We are very impressed with BetOnline. 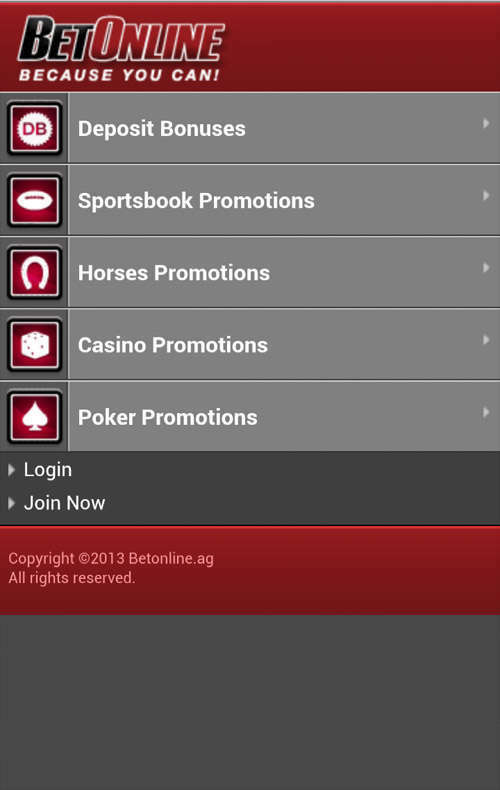 We love the way the mobile site looks, the various lines and bet types that are offered through that same mobile software. This is heads and shoulders above the rest of the Latin American sites we have seen, and the firm’s customer service is also very friendly and helpful. The bottom line is this: If you can’t play the great sites in Europe or elsewhere, give BetOnline a shot with your mobile device. You won’t be disappointed.